Paul Patterson (United Kingdom) is one of the most versatile, successful and internationally respected British composers of his generation. All of the major UK orchestras, and in numerous countries abroad, have executed his works, as have eminent ensembles and international soloists, and he has a substantial discography. He has been the featured composer at many festivals both in the UK and abroad, and has also been BBC Composer of the Week. Music-lovers worldwide is never alienates – rather, creates an enriching experience that draws both audiences and performers in. His substantial oeuvre, which includes several prestigious commissions, is stylistically varied; he is known for his sympathetic and often humorous writing for instruments, making a popular and successful name for himself in the choral, brass, organ, orchestral, concerti and children’s music. 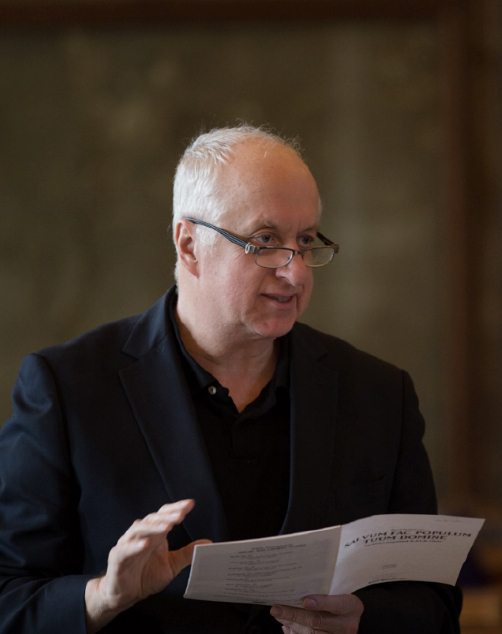 His composition style of challenging but idiomatic writing has resulted in many of his solo works have been chosen as set pieces for international competitions in Europe, Australia, Israel, Thailand and the USA. 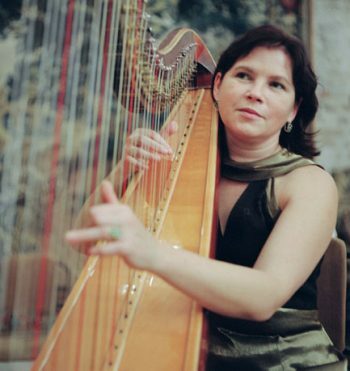 Daiva Šlyzienė (Lithuania) is a harp teacher in the Lithuanian Academy of Music and Theatre and in the National M.K.Čiurlionis School of Art, also she is a Principal harp of Lithuanian National Opera and Ballet Theatre. She established Association of Harp in Lithuania in 2004 and organized the I International Baltic Harp Music Festival in 2011. Daiva Šlyzienė collaborates with the Orchestra of Lithuanian National Philharmonic, Lithuanian Chamber Orchestra, St.Christopher Chamber Orchestra, Klaipeda Chamber Orchestra, Kaunas and Klaipėda Music theatres. For the pedagogical activity and education of young Lithuanian talents, she got awards from of the President of Lithuania Valdas Adamkus and President of Lithuania Dalia Grybauskaitė. Her students actively and successfully participate in concerts organized by the school, in national and international festivals, competitions, World Harp Congresses. Daiva studied at the National M.K. Čiurlionis School of Art in the harp class of the teacher E. Rimkaitė. Daiva Šlyzienė graduated harp class of Professor L. Chetogurova in the Lithuanian State Conservatoire (now the Lithuanian Academy of Music and Theatre) in the year 1989.To get more pedagogical knowledge she participated in master classes of professors Susanna McDonald (USA), M. Agazarian (Russia), F. Sitruk (Switzerland), I. Moretti and I. Perin (France), S. Kanga (UK). Hailed as Young Musician of the Year by Donizetti Classical Music Awards, Merve Kocabeyler (Turkey) is the first prize winner of various international harp competitions in Monaco, Italy, Serbia, Hungary, Austria, Bulgaria. Merve began studying harp at the State Conservatory of İstanbul University with Yonca Bilenoğlu. 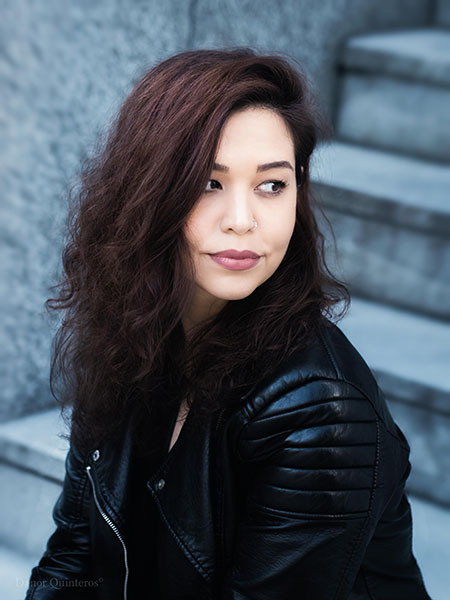 She then worked with Prof. Helga Storck and Prof. Stephen Fitzpatrick at the Mozarteum University, commenced her studies with Prof. Erika Waardenburg at the Amsterdam Conservatory. After returned to the Mozarteum and completed her Postgraduate Degree. Merve has been participated in masterclasses with harpists such as Isabelle Moretti, Marisa Robles, Elisabeth Fontan-Binoche, Elinor Bennett, Fabrice Pierre, Susann McDonald, Alice Giles, Isabelle Perrin, Marie-Pierre Langlamet and Rita Costanzi. Merve performed in Europe, Asia and Americas as soloist and principal harpist. In 2011, Merve was chosen to perform at the World Harp Congress in Vancouver and later performed as a “Young Star” at the Belgrade International Harp Festival. In 2015 she joined La Scala Milan’s Orchestra Academy. Katerina Musliyenko-Savkina (Ukraine) graduated Kharkiv High Music schiool with professor Larysa Klievtsova (Kharkiv, Ukraine) and Gnesin Music Academy with professor Natalia Shameeva (Moscow, Russia). Katerina did postgraduate course in the Gnesin Music Academy and now continuing her education for the degree of Candidate of Arts. She takes part in international conferences, her articles are published regularly. Katerina Musliyenko-Savkina is the prizewinner of international competitions and festivals in Ukraine, Russia, Bulgaria, Hungary and Japan. She took master-classes with Grace Cloutier, Catherine Michel and others. She collaborates with many composers to promote and develop harp repertoire. Katerina is a guest soloist in “Bolshoi” Theatre, Svetlanov Simphony, Russian Philharmonic Symphony, “Moscow Virtuosi” etc. She is very active as soloist and ensemble player all over Ukraine and Russia. 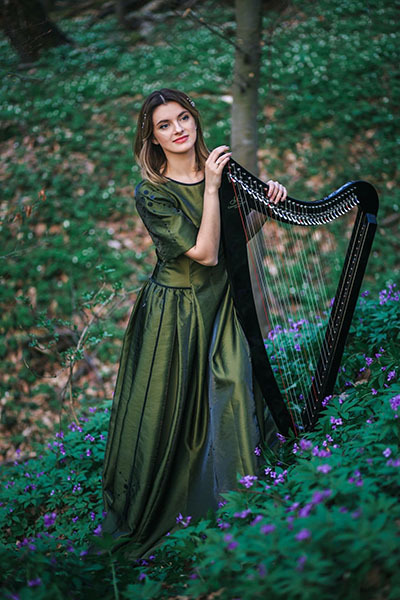 Currently Katerina is the Principal Harpist of Provincial theater (artistic director Sergey Bezrukov) in Moscow and the harp professor at Zukowski Art school. 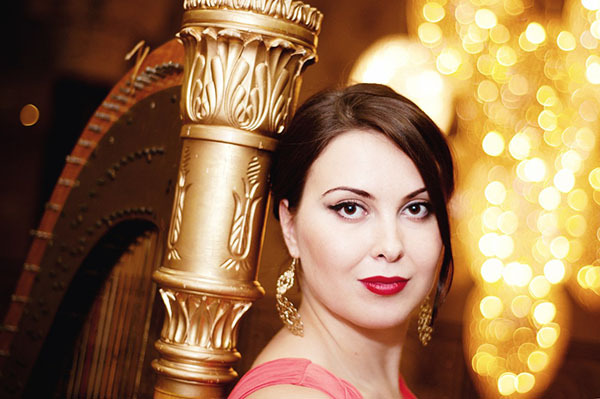 Ivanna Mytrogan (Ukraine) – principal harp in Lviv Philharmonic Symphony orchestra. Started to play the harp with professor Iryna Peskovska in Lviv musical school and college, after graduated Kyiv Academy of Music with professor Natalia Kmet and Lviv Academy of Music with professor Olga Olyinyk. Prizewinner of international competitions and festivals, performs solo and chamber music. Ivanna is a member of a Charity foundation “With the angel by the shoulder”.